RUSH: I honestly don’t think that what has happened today has sunk in yet. I’m watching CNN. They’ve got a graphic: “Barr: I think spying did occur on Trump campaign. But the AG says no specific evidence, only concerns so far.” I’m looking at that screen, that picture of CNN. Now, for over two years every time I looked up at CNN the chyron graphic had to do with Trump colluding with Russia, for over two years, all day, every day. Maybe they took a break and did other news, but the central focus of CNN — I’m using CNN as a stand-in here. For over two years the entire reason for the existence of CNN and the New York Times and all the rest of these media people was to propel, to amplify, to solidify the idea that Trump colluded with Russia and is therefore an illegitimate president and maybe a traitor, for two years. And they did it with certitude. They did it with smiles on their faces and every guest they brought in and every panel they assembled had the same premise, had the same belief. They pummeled it. They pummeled people over the head with it. They didn’t let people breathe. Every time anybody looked at CNN, that’s all they saw. If you read the New York Times, that’s all you saw. 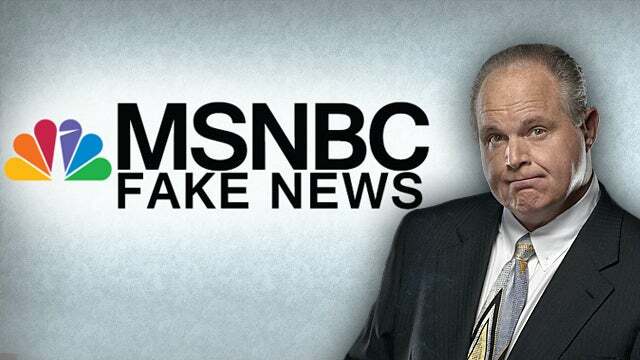 If you watched MSNBC, that’s all you saw. For over two years, when you glanced at CNN, if you were in an airport and you were walking to gates, changing gates, walking to your plane, whatever, you look and you see CNN, you’re gonna see “Trump-Russia collusion.” You’re gonna conclude that it happened. You know there’s a report going on. There’s an investigation. We’re waiting on the truth. We’re waiting on the evidence to be produced, for two years. And everybody on CNN’s face is gleeful, and they’re smiling, and they are affectively patting each other on the back after every report. And they are high-fiving, theoretically, every guest and every panel. And they are acting as though they are assured, they are certain that they are going to get this president, that he is toast, he is as good as gone, for two years every day, all day. And then what was it, two, three weeks ago, the very thing they were all so certain was gonna happen dealt them a giant zero. Everything they’ve done, every promise they had made to their audiences, every assuredness they had supplied, every bit of confident reassurance, including at CNBC, MSNBC, the New York Times, the Washington Post. And it went on and on and on. And then every guest reinforcing it, every panel reinforcing it. They talked themselves into it. They believe it. They think they’re doing whatever they’re doing for the betterment of their side of things. And then the bottom literally drops out. The floor, the foundation on which they have built their professional existence drops out from underneath them. They’ve got no ripcord. They are plunging into an abyss. Virtually everything they have staked their professional reputations on has been snatched away from ’em. And then a mere three weeks after that they’re hit today with the reality that everything they were complicit in is on the verge of being exposed. That all of those handshakes and all of those backslaps and all of those high fives and all those smirks and all those smiles of confidence that we’re gonna get Trump, they’re gone, folks. CNN is glum. CNN is stone faced. CNN, with their graphic reporting that Barr is going to investigate the investigation, something they never — remember, we’re talking a level of arrogance here, these people never thought they weren’t going to get away with it. They never thought it wasn’t gonna work. Just need Mueller to come through. Just need all of those anti-Trump investigators on Mueller’s team to come through. They may have gotten an inkling of ripples in the water with the appointment of Barr as the attorney general. They would have been wise to realize what that meant. We knew what it meant. So now they are faced with reporting that the Trump attorney general is going to conduct an investigation into them and their buddies at the FBI and all of their sources, the intel community, wherever they came from, from the administrative state. The turnaround here, the flip, the 180, the standing everything upside down on its head, they are in a state of shock. Now, they’ll come out of it tomorrow. They’ll have a whole new attitude tomorrow to deal with this. And it’ll involve Barr being a phony, maybe unqualified, whatever they have to do to right the ship. But today you can see this blank, stunned disbelief, depression, despondency, disappointment on their faces. Not constantly. You have to know how to look at it. It hit me looking at these people at the top of the hour as they were doing the story on Barr announcing there will be an investigation, and these people are gonna be caught up in it. But just three weeks ago they’re rubbing their hands together in glee, they’re on the verge of the Mueller report coming, and they know, they know that their past two years of hard work is gonna finally pay off and Trump is toast. It is a startling and stunning turn of events. I’m taking this time because I want everybody to take whatever time you have just to stop and realize how big it is, how monumental it is. Now, I know it hasn’t begun. I know that it’s just words from the attorney general today. There’s not any action that has taken place. But I believe it will. And I believe William Barr — and I’ve never met him — I believe he is personally outraged over what happened here in this country since the moment Trump announced his candidacy. I don’t know what he thinks about Trump, Trump as a president. No idea. But I do know that he is a serious man of the law, and I think he is appalled by how it’s been used. Unelected people running an operation to essentially overturn the election results, to get rid of somebody that was fairly and duly elected. That should literally appall everybody. And I think it does him. I think Trump is unleashed now. Trump’s known from the get-go what was going on, and now he’s free to talk about it as it actually was and how he actually thinks about it. It’s a big, big day. 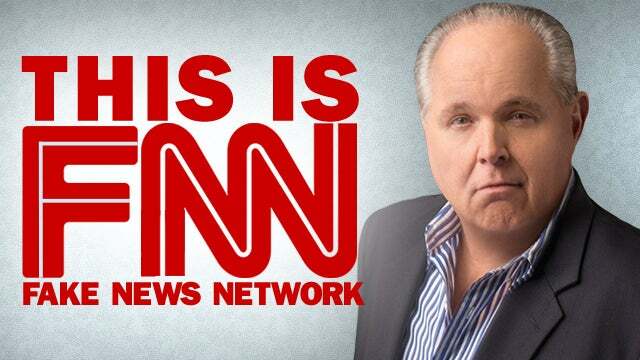 RUSH: No sooner than I do a monologue about the seriousness of what Barr did today and how it has flipped everything upside down on the left, no sooner than that do I have three stories right here in my formerly nicotine-stained fingers. Here’s number one. A radical, hard-core leftist feminazi by the name of Amy Siskind: What TF — you know what that stands for — what TF is happening, people? “Trump’s newly appointed AG is espousing disproven, right-wing conspiracy theories about Trump being spied on in a Senate hearing while Trump uses terms like ‘coup’ and ‘treason’ to reporters to describe the people who investigated him?” Do not doubt me. These people have been thrown for a loop. They’re turned upside down. It’s not a disproven right-wing conspiracy. It happens to be the truth that people like you ignored because you’re a bunch of closed-minded left-wing bigots! Not journalists. You wouldn’t know journalism if smacked you upside the head in Selma! This guy, Aaron Blake at the Washington Post, is outraged. This can’t be happening! Barr is irresponsible to talk about spying on Trump! 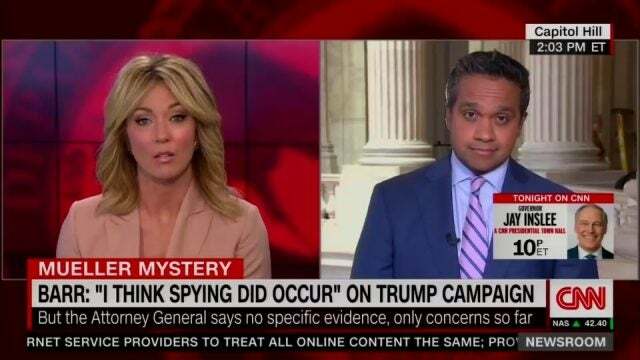 See, folks, after a year of spinning and parsing the word “spying” to justify what the FBI was doing, oh, they were more than happy for the FBI to spy on Trump. They were more than happy for the FBI, the intel people, Clapper, Brennan, to spy on Trump and Trump people. Now the Drive-Bys are outraged that they and their buddies might now be investigated for spying? Barr sets it all straight, and they’re flipped 180 degrees out of phase. I’m telling you, do not doubt me. This is just in the last 30 minutes that this stuff has popped. When Barr said what he said this morning, it took a while to sink in. I’m telling you I could see it on the faces, the blank faces of these people at CNN. There is going to be an outraged reaction. By tonight they’ll have their heads back on straight, meaning Trump’s still a fool, Trump’s an idiot. Barr will now be an idiot. Barr may have been in on this from the get-go. Barr may try to protect himself. I don’t know what they’re gonna come up with. One other point of clarification. I was erroneously saying that the Democrat Party is not radical left in that little diatribe before the bottom of the hour. I was talking about the American people at large. The Democrats are killing themselves unknowingly. They’re making the mistake of assuming that the majority of their party is the majority of the country. And not only is the party not a bunch of radical leftists as are represented on Twitter, but the American people are nowhere near that. And yet they’re nominating candidates who are trying to get as far left from each other as they can under the belief that Twitter is where real America is. Twitter may be where the real Democrat Party is, but it is not where America is. My only point is that the more they think they have to publicize and brag about and pat themselves on the back for their radical liberalism, let them. It’s my only point.